Here is the ultimate solution for your UTI PAN Card status. You can easily track UTI PAN Card status online from the official UTIITSL website and by going through this post, you will be provided with all the necessary resources along with the steps to track your PAN Card easily. The post not only will lead you to the precise tracking page of the UTI PAN Card but also provide guidelines to go through the procedure. 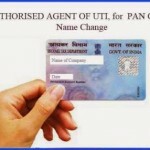 PAN Card has become one of the significant documents for individual and firm in India. It not only helps in simplifying the financial transactions by a person/firm but also helps the government to know about the transactions made by them. Based on the yearly earning, a person/firm has to file the income tax. Permanent Account Number can be applied for by a firm or by an individual person. UTI Infrastructure and Technology Limited are among the government authorized online service provider for issuing PAN Cards. The Permanent Account Number is unaffected by any change in the domicile of the applicant and remains valid throughout all the States of India. Moreover, it has unique numbers for the different individuals. Get acquainted with the UTI PAN Card status tracking and an extremely easy to follow tutorial for the same. We will be guiding users through the procedure of tracking the UTI PAN Card status online and also to understand the various PAN Card status messages. Similarly, you can track NSDL PAN Status easily. How to Check Pan Card Status at UTIITSL? Checking the UTI PAN Card status at the UTIITSL or at the UTI portal is quite simple and will be further simplified with elaborated steps and direct links for UTIITSL given below for your best convenience. You might be interested in getting the UTI PAN Card Application Form first before everything else. In case, if you have already applied for a UTIITSL PAN Card application, then you can proceed further. You just need to select the application type according to your requirement and enter the acknowledgement receipt number or coupon number. If you have applied for any correction in the existing PAN Card, select CSF in the options of application type. However, if you haven’t applied for the PAN Card yet and looking for a guide to apply for PAN Card online, then you would be more than happy to follow our previously written guide. The application type of PAN Card refers to your application form or purpose. UTI Infrastructure Technology and Services Limited– UTIITSL is a government owned entity and provider of technology and outsourcing services for major financial and other government sectors. UTI can be contacted at its toll free number 1800220306 for any query. You can get the details of any PAN Card Application Center by selecting the State and City at the above link. Get the complete details of your nearest PAN Card Application Center with address and contact details by following the above UTIITSL link for locating PAN Card Application Center. Besides following the UTI portal for UTI PAN Card status track, get your AO code with below captioned UTIITSL link. AO code for PAN Card Application is a combination of Area code, type, range code and AO number. AO code is required while filling up your PAN Card application before you track the UTI PAN Card status. While applying for PAN Card, you can search for the AO Codes on the basis of your city. UTI PAN Card Correction Form has also been made available in case if you have entered wrong information while applying online. Income tax department has allotted execution of issue, application, tracking and dispatch of PAN Card to financial service providers like UTI, NSDL and e-Mudhra. Track UTI PAN Card status here and get many other essential PAN Card details and PAN Card Application requirements. We are sure our write-up has guided you to go with tracking your UTI PAN Card status and host of other information you will require while applying for PAN Card at the UTI or NSDL. All PAN Card status related information has also been provided on the homepage so users can track it easily. How to Get Aadhar Card in India? PAN Card Details – What to Fill in PAN Card Application Form? PAN DETAILS is required for this? 603419356 on urgent basis. Urgently required. Respected sir i want to know the status of pan card in the name of Jayeshbhai Pravinbhai Solanki & coupon no. is 602227337. still not rcv any details from you. submitted date is 12/03/2016. but still showing is RECORD NOT FOUND. plz sir, do needful as early as possible. Sir i applied pan card in favour of my husband Ramkrishna choppalli last one nd half month before some changes in his name his pan card no. AHYPL8442J.still i didnt got gis card pls.send my card soon. I had applied for two pan card corrections (in Applicant’s Name & Father’s Name) on 23rd April 2016 (Application form no.16542389 and no.165425390) still awaiting for reply or email on this from the UTI. The written copy of the letter has been shared with IT PAN SERVICE CENTER, Bangalore and Chennai, However on checking with IT Pan Bangalore, they directed me to contact you here. Hence, request you to expedite this process and issue the pan card with corrected names. My name CHIPPAKURTHI PARVATHI,Iam applied in my uti pan card appliction coupon no:603208022. When I my PAN Card Status, it indicates “No Record found”. So, pls. help me proving my PAN Card Status. My Coupon No. is U-604188262. Thank u.
Dear sir my name is shiveshwar rabi das.i am applied uti pan card application numbenumber 602944605 pleaseme argent pancard status report. You are requested to cancell my application immediately. Sir please help me.My date of birth is 08/07/1998.My name is Bhavani Shankar Neeluri.i hav lost my pan card sir and no idea about it.my phone number is 8147774134.Sir I applied pan card for educational loan but my mother lost it. So pls help me sir i hav got only 22 days left for it. sir my pan card is not reached at my address. so i request u plaese resend my pan card at following address. sir i applied pan correction coupon no 717967001 it is mostly urgent for bank loan please send correction card as soon possible. .
sir please send my pan card receipt contaning acknowledgement number of 15 digit. my application coupon number is 605950385, its urgent. Hi My PAN Card Application No/Allotment No is A000754504. it is written in status that documents not scan in Objection Reason. what to do next. HELP Soon! when i recieved pan card at my home. Unfortunately, we have no clue about this. May I know when it will deliver to me? My PAN card (application coupon no:603439745) was returned undelivered because I was overseas when it came. Please send it to me again. Thank you. I am Arpita Thakkar My date of birth is 05/04/1989.My coupon no 616593356. I have lost my pan card,how can i get my new Pan card.Please sir help me. Diyar sir my pan card stetas. As per msg received UTIITSL my PAN card is despatched thru speedpost Docket No-EW245147956IN on 17/08/2016. is yet to receive. Unable to check status on UTIITSL portal. My pan No ABHPS8773J APPLIED for change of resident address purpose through The Kalupur commercial Bank Ltd Vasna on Dt.15-06-2016 Coupon No. 602200331 till not process and send 60 days pass away, where it received? My pan No BRYPS3911A APPLIED for change of resident address purpose through The Kalupur commercial Bank Ltd Vasna on Dt.27-06-2016 Coupon No. 602200345 till not process and send 60 days pass away, where it received? Sir my daughter pan card was apply on 18 june 2016 through Steel City Securities Ltd Branch ID No.20588 but tracking status say that record is not found. please sir alloted pan number on the tracking status,name NEETIKA SINGH DOB:03-02-1993. Application From 49A Sr.no. 205889700010606. I have applied for correction of date of birth in my PAN card No.AZRPB9473C in the month of August”16.My PAN application coupon number is 608070395. When I track my PAN application status it shows “Your applicaton is withheld for processing.” Objection reason: Objection marked (Date of birth incorporation mismatch between ITD & Application data )Application details-DOB:01/01/1967 & Income Tax details :DOB:01/01/1969.But it is natural the Two data will be difference because I have applied for correction of DOB and in support of my application I have enclosed Affidavit from 1st class Judicial Magistrate. So please look into my case and send my PAN card as early as soon. I applied for correction in PAN CARD through coupon no,U-Q000141906, for which I paid Rs.107/-. When track status then replies is NO INFORMATION. I could not understand, where are money and application? I have applied pan application in nsdl online on 04/11/2016 and acknowledgement no N881031104229802 ,I like to know the status ,whether i need to submit hard copy please sent your reply urgently. Sir, very urgent my pancard number . please help me.